Space scratch! 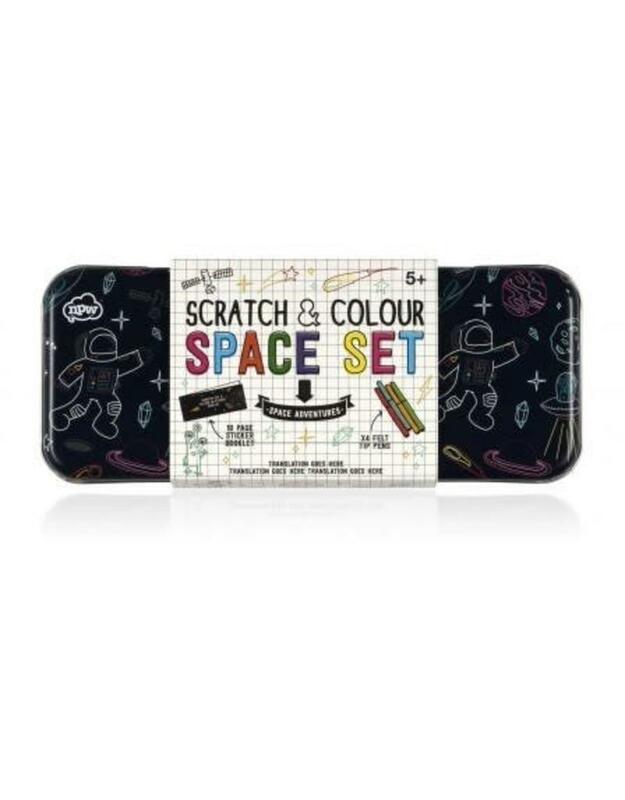 This Scratch & Color Space Sticker Set is loads of fun. 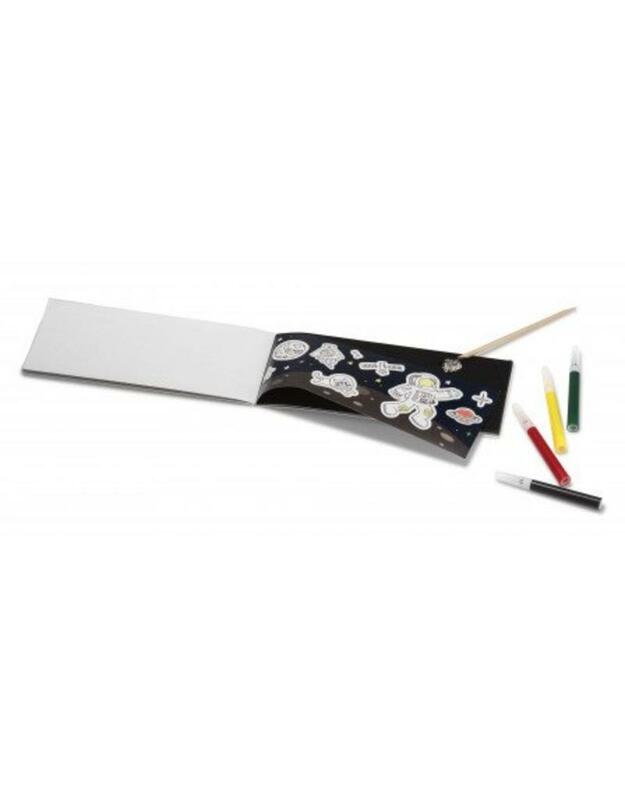 Some stickers you scratch with a wooden stick to reveal, and other pages allow you to color your stickers to suit your personality! 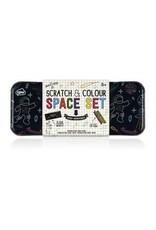 Set includes a sticker book, markers, and a wooden scratch stick.